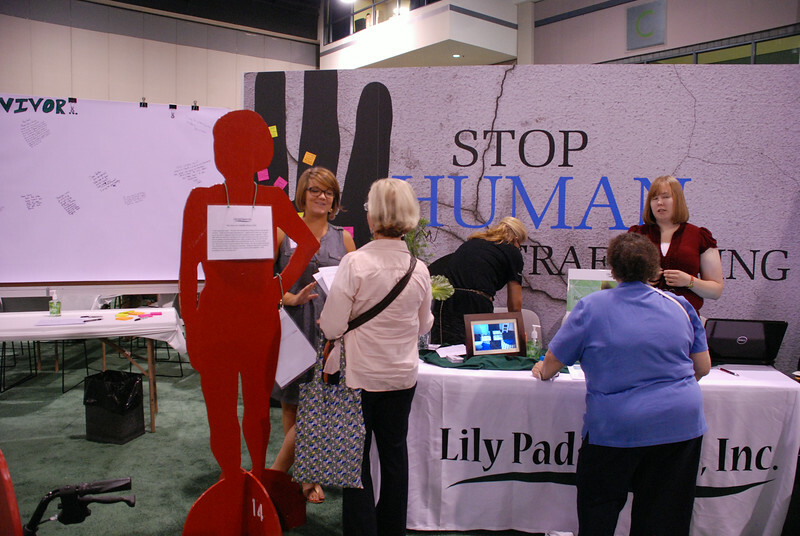 In the "Stop Human Trafficking" exhibit, participants learn about Lily Pad Haven, an organization that provides housing and transitional services for women who have survived human trafficking, a form of modern-day slavery. EIghty percent of human trafficking involves sexual exploitation. EH.